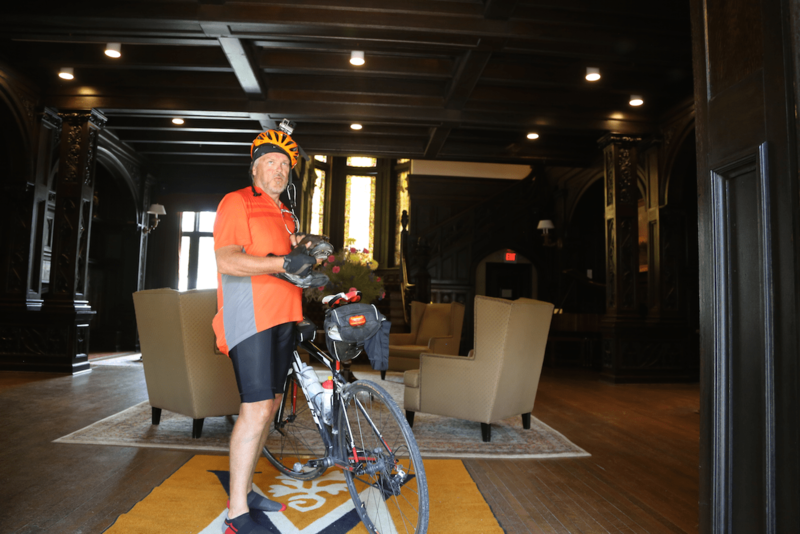 SUMMARY: Mark pedals through Ohio, W.V. and is now in Pittsburgh. He writes about food, a small fall and the road to PA here on his blog. 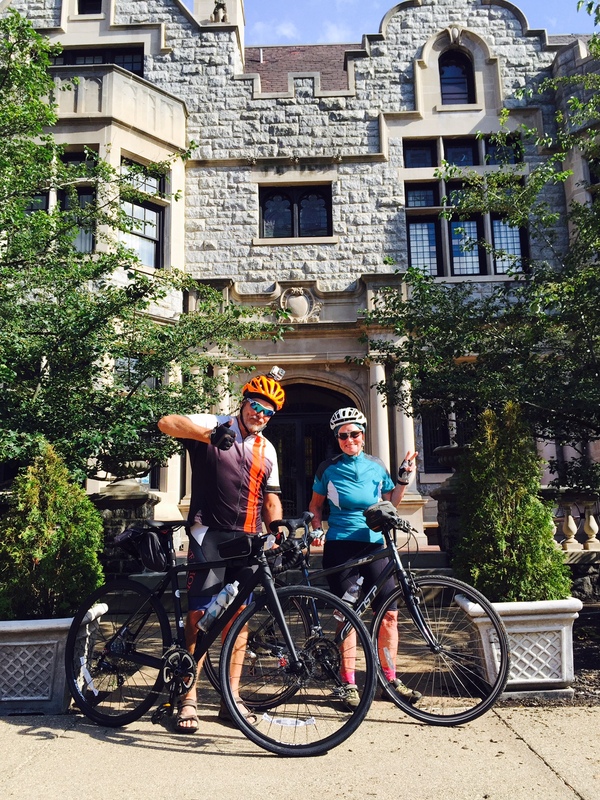 MELODY: We arrived last night in Pittsburgh and, whoa, we are staying in a real mansion! Look at Mark’s expression after pulling up to our “hotel” in full biking mode. One of the “butlers” brought him some water in a fancy glass. It was a surreal moment after 2 months of camping, bad motels and Super 8’s. What a breath of fresh air! The Mansions on Fifth is really something– a beautiful historic mansion. It was a special last minute deal (almost the same price as a normal hotel) and boy am I glad we did this! A much-needed respite for the last leg of the ride. About a week to go! Bonus: this morning Mark’s cousin Sally magically appeared with another bike for Mark that will work better on the Great Allegheny Passage trail. She got up at 3am this morning in Baltimore and drove here for 4 hours to deliver the bike…and the two of them just rode off toward Cumberland. That is a very special person, I tell ya. More to come later! Thanks for following along on our journey. Seriously? Sally is awesome? What was wrong with the Felt? Seemed like such a workhorse! The hybrid is better for the crushed limestone and gravel trails I’ll be riding all the way to D.C.